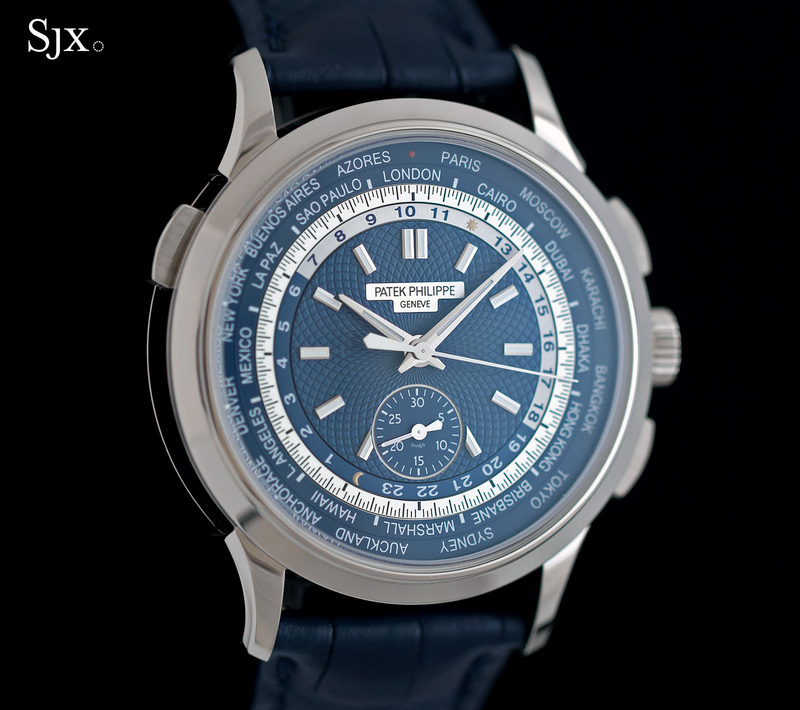 In the Patek Philippe Museum sits the ref. Ref 1415-1 HU, a one-off creation from the 1940s that marries the world time function with a one-minute chronograph with pulsometer scale. 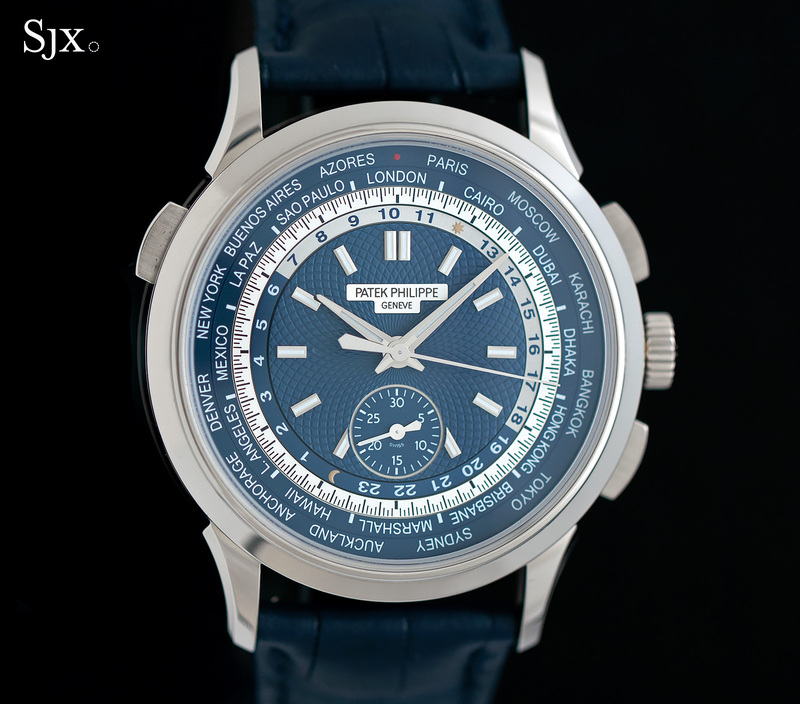 That was the only Patek Philippe timepiece ever with that combination of complications, until the World Time Chronograph Ref. 5930G-001. The ref. 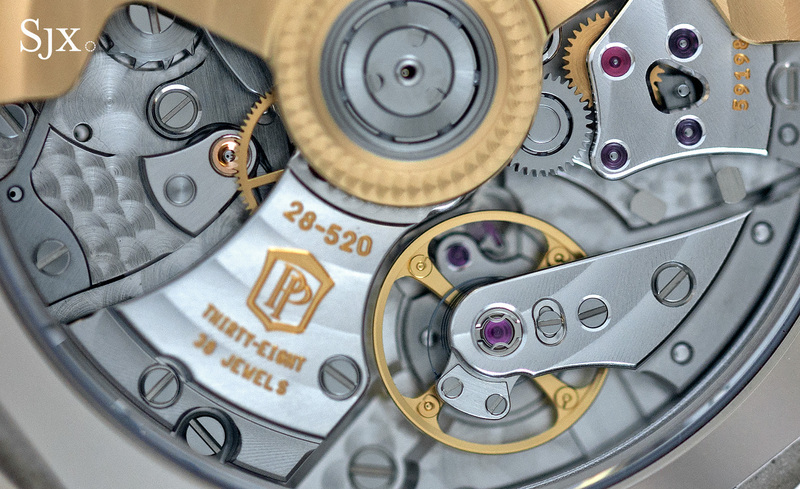 5930G is powered by the CH 28-520 HU movement, the same chronograph calibre found in the ref. 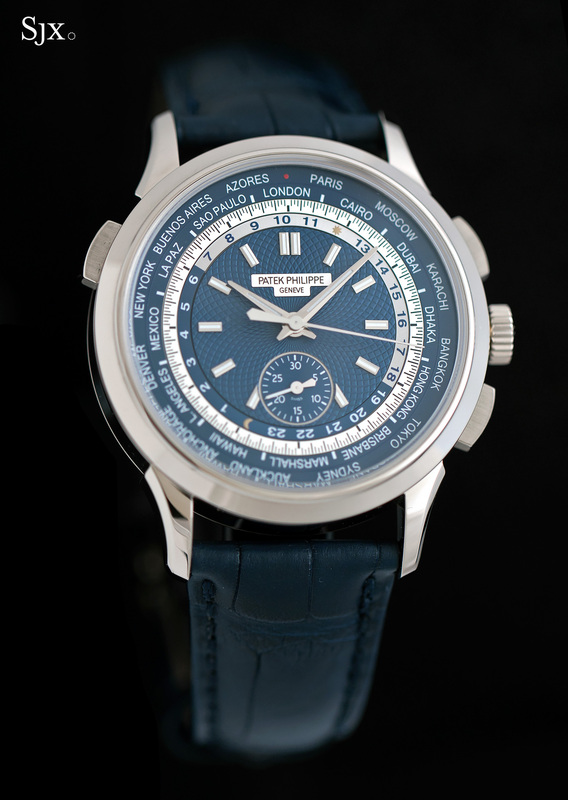 5905P chronograph with annual calendar. 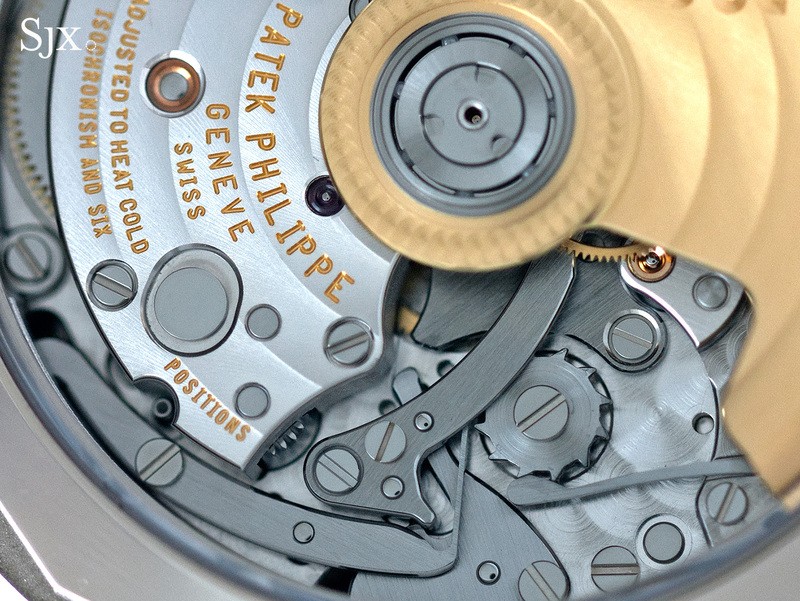 Added on top of the chronograph base movement is the familiar world time mechanism that was developed by Geneva watchmaker Louis Cottier in the 1930s. 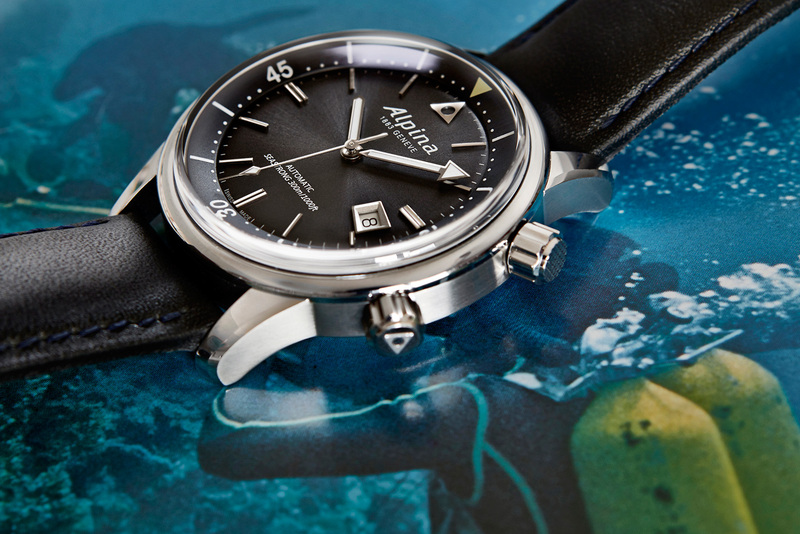 A button in the case at 10 o’clock advances the cities disc, hour hand and 24-hour scale. So all a traveller needs to do is to set the city corresponding to the local time zone to the 12 o’clock position. 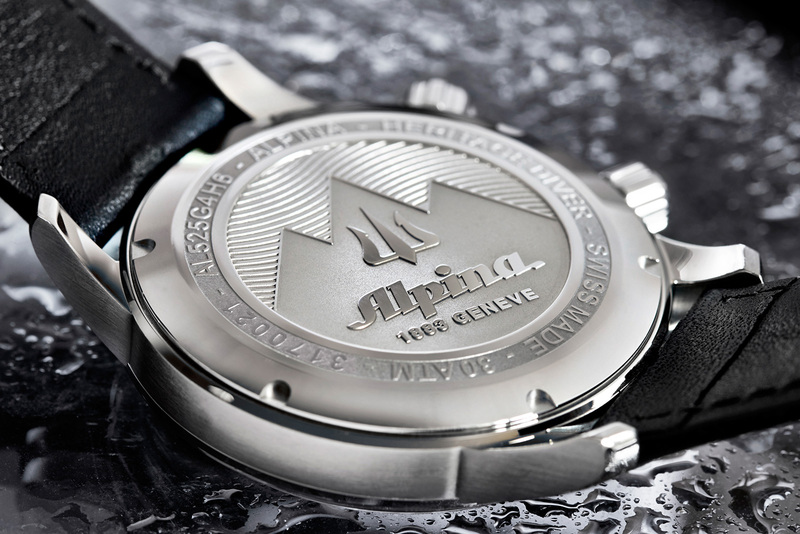 Local time will be shown on the hands, while the time in the world’s 23 other time zones can be read off the 24-hour scale. 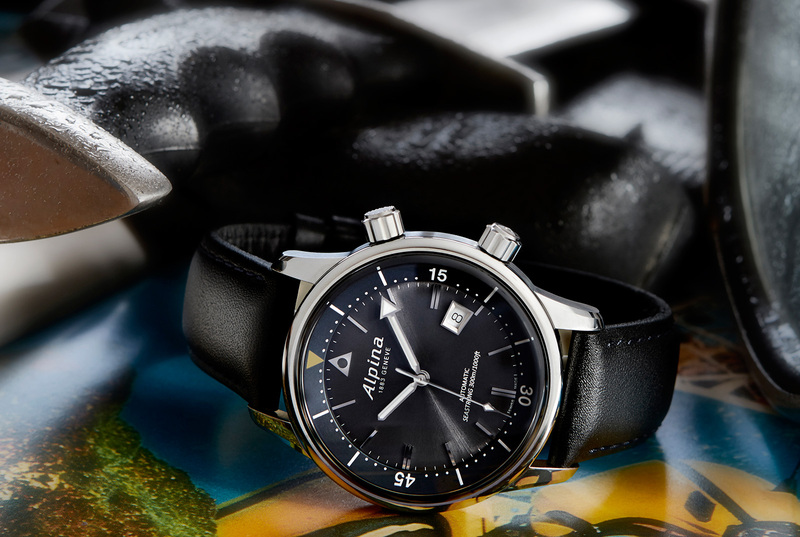 Because the cities disc takes up substantial real estate around the dial, the time-telling portion of the dial is somewhat compact. 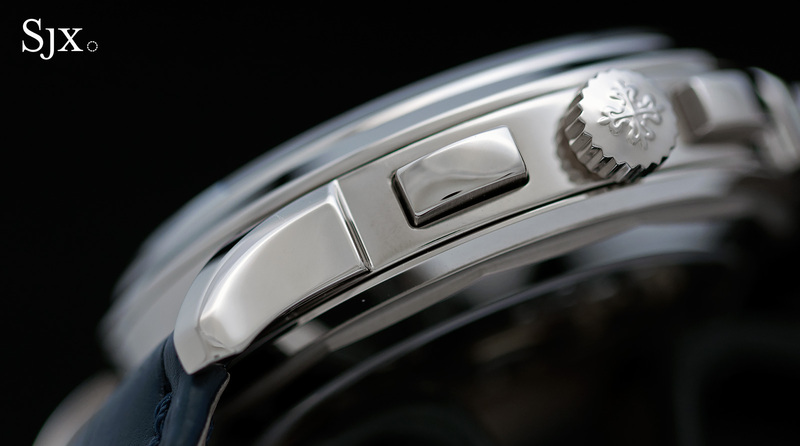 The central portion of the dial is decorated with a beautiful, geometric guilloche that is engine-turned by hand. 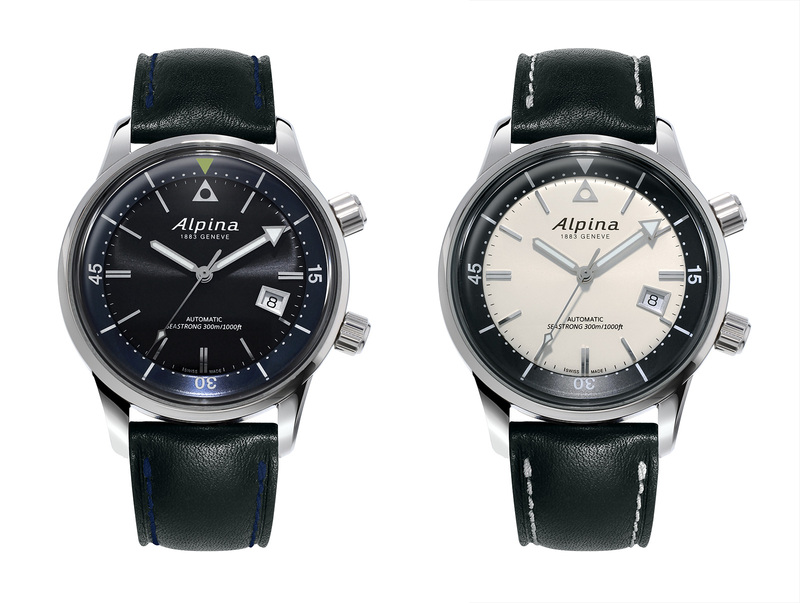 The 30-minute counter for the chronograph is located at six o’clock, while the quarter seconds scale for the chronograph is sandwiched in between the cities and 24-hour discs, an odd but legible position. 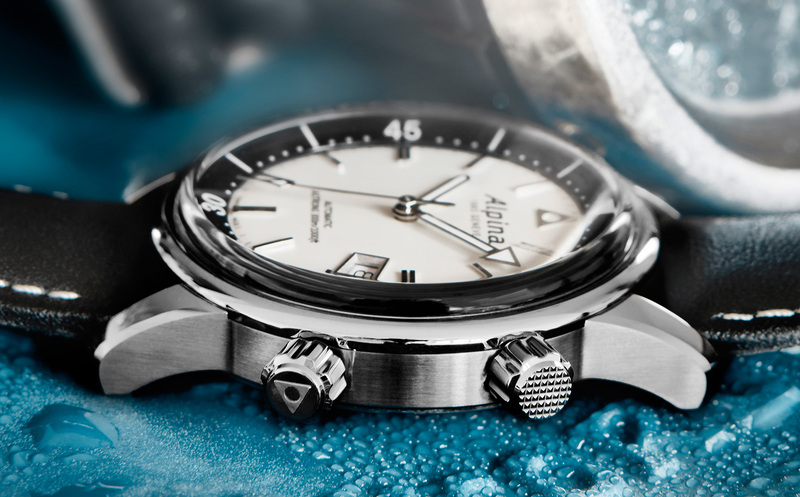 Commendably, the chronograph mechanism was revamped to fit the dial of the World Time Chronograph. That was done to shrink the minute register and move it closer to the central axis so as not to overlap with the world time discs. That being said, the 30-minute counter is limiting for the traveller who wants to time a flight. 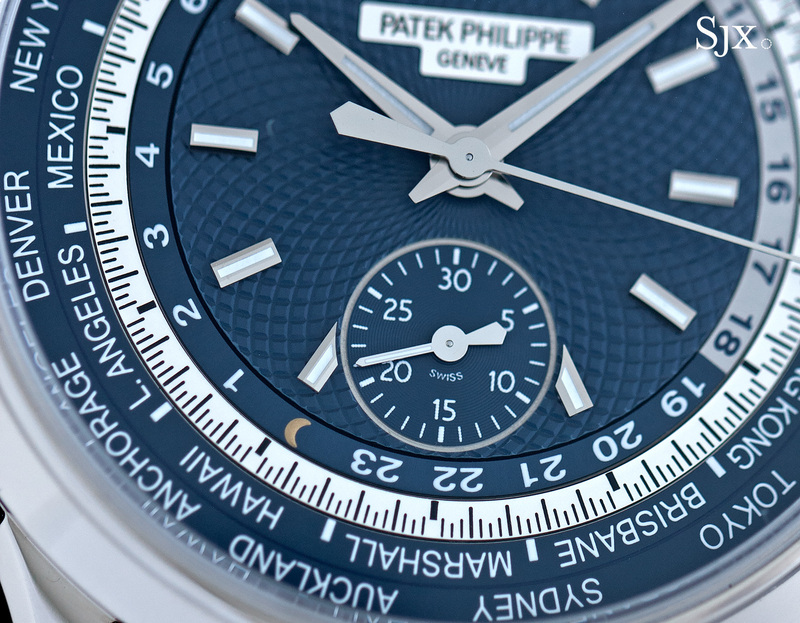 Available only in white gold for now, the World Time Chronograph is a modest 39.5 mm in diameter, but chunky for a Patek Philippe being just under 13 mm thick. 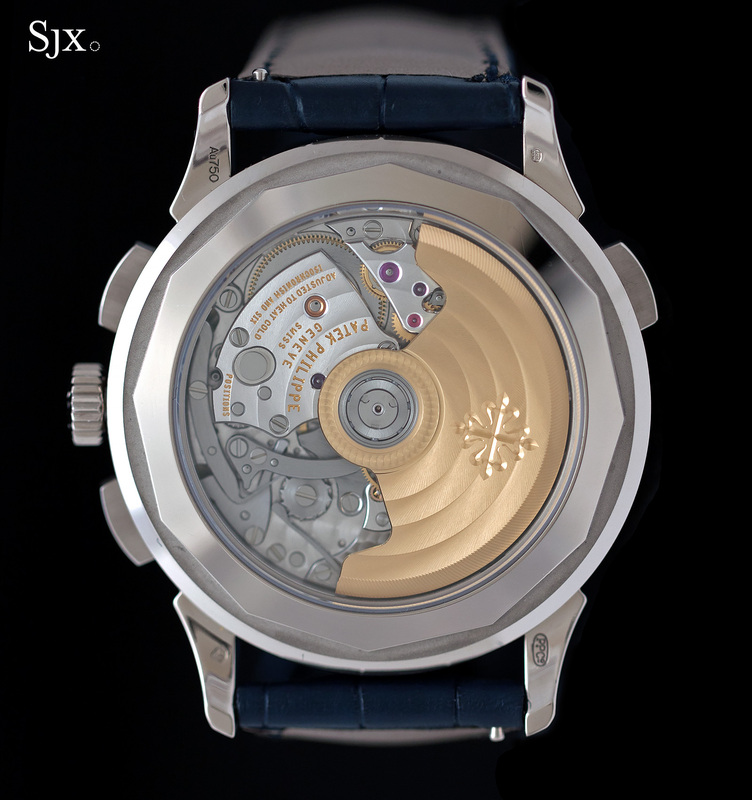 The screw down back contained a sapphire porthole revealing the movement. The lugs are “winglet” style, gorgeously shaped with a slight bevel along their flanks and stepped where they meet the case band. 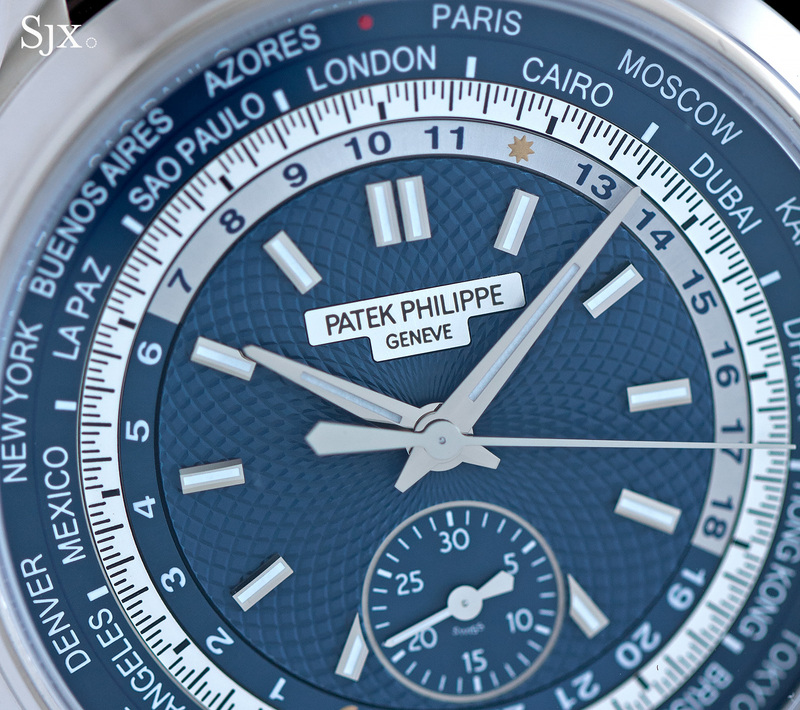 The form is based on Patek Philippe world time watches from the 1940s, notably the desirable ref. 2523. 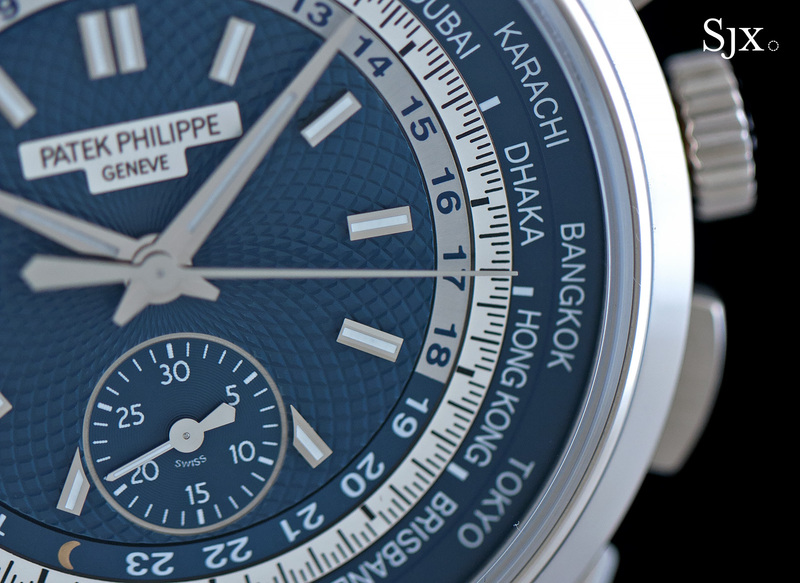 The World Time Chronograph ref. 5930G is priced at SFr65,000 including 9 percent Swiss tax. That’s equivalent to US$67,000. Deliveries will start in the third quarter of 2016.